The Buena Salud® Club is a program of the National Alliance for Hispanic Health and the Healthy Americas Foundation created to promote healthy lifestyles among its members by prov﻿iding reliable and confidential health information. ¡Vive tu vida! Get Up! Get Moving!® is the nation’s premier annual Hispanic family physical activity and healthy lifestyle event. ¡Vive tu vida! Get Up! Get Moving!® is for people of all ages and all sizes. Visit wwww.getupgetmoving.org for more information. 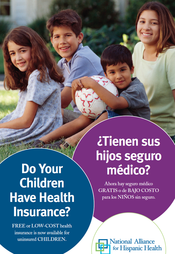 Our bilingual health promotion advisors are available Monday through Friday, 9am to 6pm (ET).